Harajuku girl with yellow hair, blue dress, graphic tee, and vintage pants. 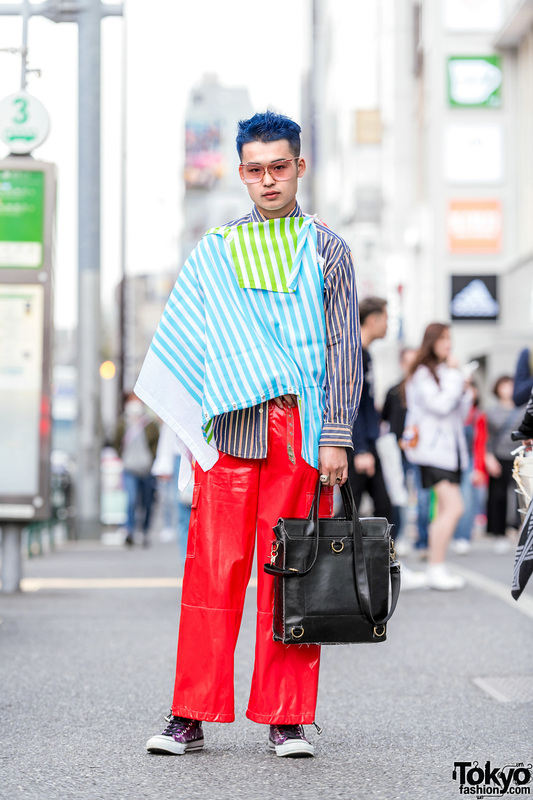 Japanese student wearing striped tops, red pants, and purple sneakers in Harajuku. 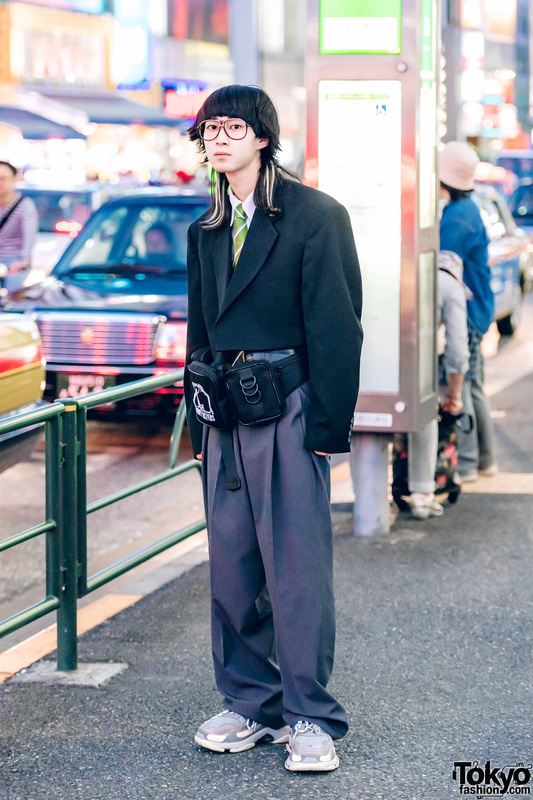 Japanese shop staffer wearing a 1980s inspired look with a vintage wide shoulder cropped blazer in Harajuku. 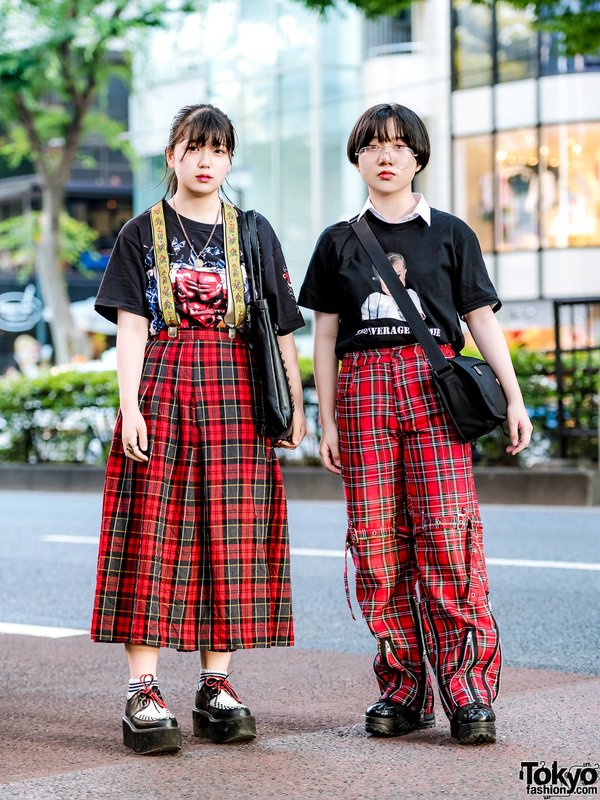 Harajuku girls showcasing vintage and handmade fashion along with Jenny Fax and Tokyo Bopper. Colorful fun 1980s inspired Japanese street style with a denim jacket, sweatshirt, and shorts by Peco Club, with purple tights, high top sneakers, and an E.T. bag. 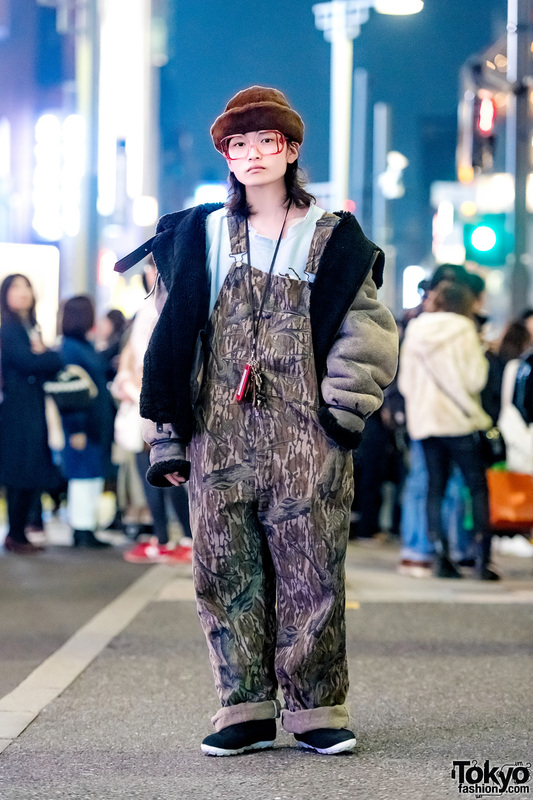 San To Nibun No Ichi staffer showcasing oversized vintage streetwear in Harajuku.